Are you eating a healthy diet, but still not feeling great? Take my free quiz to see if food sensitivity testing can help! Eat well, feel fabulous, love your life! You’ll love this low FODMAP dinner recipes e-cookbook featuring 15 nourishing and delicious low FODMAP recipes that are perfect for dinner one night, and as leftovers for lunch the next day. All of the recipes can be whipped up in 30 minutes or less! Instant digital download so you can start cooking delicious low FODMAP dinners right away! BONUS! 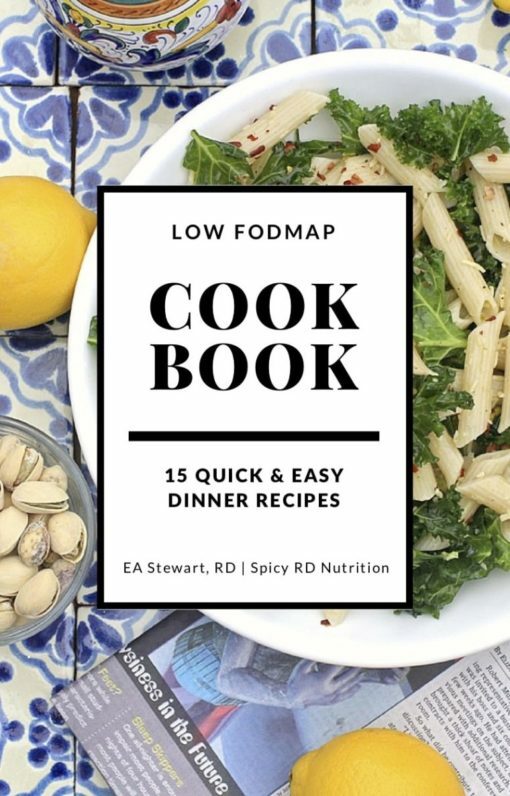 When you purchase the Low FODMAP Dinner Recipes Cookbook, you’ll also get a free copy of 10 Portable Low FODMAP Snack Ideas, so you’ll never be “hangry” again! If you’re following a low FODMAP diet for IBS, or are thinking about trying it, you’ll love these 15 Low FODMAP Dinner Recipes that are not only quick and easy to make, but are also super nourishing, and taste delicious too! All of the low FODMAP dinner recipes are easily made in 30 minutes or less. Most recipes make 4 servings, but are easily adjusted as needed. Or, store leftovers to enjoy for a quick and easy lunch the next day! Hi There! 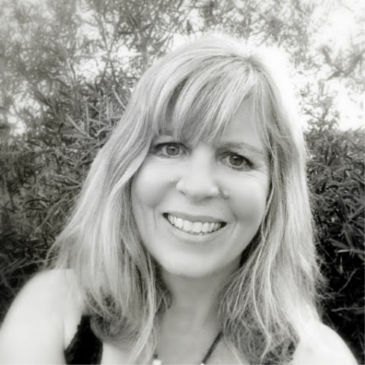 I’m EA, an integrative registered dietitian nutritionist in sunny San Diego. I create easy, DELICIOUS gluten free recipes & low FODMAP recipes for a wide variety of diets: anti-inflammatory, low carb, Mediterranean, paleo, vegan, vegetarian, & more. My nutrition specialties include wellness nutrition, digestive health (celiac disease, IBS, IBD, SIBO), autoimmune disease, & optimal aging. Learn more about my nutrition philosophy and my nutrition coaching services, or get in touch~I’d love to connect with you! @2019 - EA Stewart & Spicy RD Nutrition. All rights reserved.